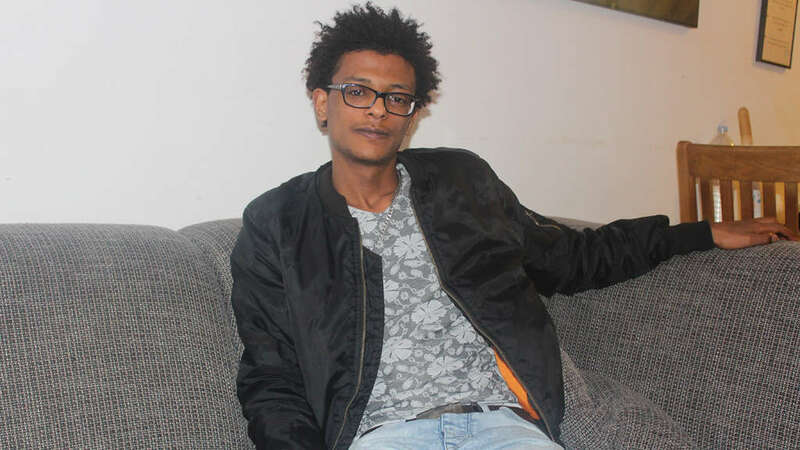 The young Eritrean Awet Berhane has been looking unsuccessfully for months for an apartment in Limburg – although he has a job and already speaks quite good German. He has the feeling that he is repeatedly rejected because he is a foreigner. Limburg – Awet Berhane is desperately looking for an apartment. Currently, the 19-year-old is housed in a Limburg youth welfare facility. Awet Berhane works in the Senior Citizens’ Center St. Georg, where he started training as a geriatric nurse a few weeks ago. Previously he graduated from the Adolf Reichwein School. So the young man goes to work regularly, earns money and attends adult education courses to improve his German. Actually not a bad starting point to apply for an apartment. Nevertheless, Awet Berhane has received only cancellations. “The landlords reject me because of my nationality,” says the 19-year-old, who fled from Eritrea four years ago and landed in the district of Limburg-Weilburg. First, he lived in an accommodation in Niederselters, then he got a room in the Limburg facility. He is looking for his own apartment, as he says, for several months – without success. He has already managed to obtain a secondary school diploma from the Adolf Reichwein School. In addition, the young man has taken language courses at the community college. Professionally, too, there seems to be a perspective, because Awet Berhane works at the Hildegard von Bingen Senior Citizens’ Center St. Georg in Limburg. Berhane is looking for an apartment in the vicinity of Limburg, from which he can easily reach his job. “I usually start at the retirement home at six in the morning,” says the 19-year-old. Since mobility at this early hour is quite limited in many places, I actually have to find a home in Limburg to always be on time for work, “he explains. His difficult living situation put a strain on him emotionally. “I keep thinking about how it goes on.” This also negatively affects his concentration at work. With his 21st birthday, the support from the youth welfare center ends. “If I do not have my own apartment by then, I have to live in a community facility. I definitely do not want that, “says Berhane. The Caritas Association knows many cases of people with a migrant background who are having big problems finding a home. Landlords, however, often brought many children or social benefits into the field. Of clearly racist remarks the association hears only rarely. However, this could also be due to the fact that apartment seekers are too ashamed to report such incidents, Sebastian Schneider from the Migration Advisory of the Caritas Association suspects. At present, it is very difficult for foreigners to find an apartment in the Limburg-Weilburg district. “It is no coincidence that a larger number of refugees still live in shared accommodation even after they have been recognized, even though they actually have to move out,” says Schneider. Johannes Laubach, spokesman for the city of Limburg, also points to the general housing shortage in the district. However, he is also aware that there are always clear hostility from landlords to foreign apartment seekers. “Even city employees who help with the search have been abused,” he says. Reservations about refugees would also play a role. Nevertheless, social workers in the city continue to make an effort to provide housing to people with a migrant background, which also succeeds often. However, the city can only partially help housing seekers who are looking for a place to stay alone. “We ourselves have only a few apartments in the city, which are suitable for a single person in size. These are all taken. At apartments, which are not owned by the city, but in which the city has the right to occupy, nothing is free and nothing in view, “says Laubach. The demand is extremely high and the waiting list is huge.